Canada has the common border with Russia, so it faces the threats which Ukraine experiences now. Such an opinion was expressed by Canadian MP Borys Wrzesnewskyj, an Ukrinform correspondent reports. 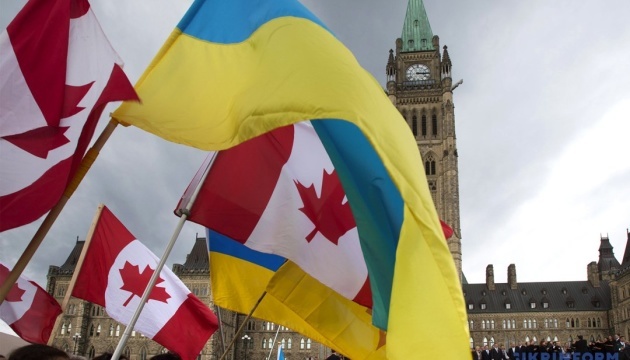 "Canada has special relations with Ukraine as over 1.2 million Canadians of Ukrainian descent live here. However, there is another aspect of our relationship, which is developing now, namely the fact that Ukraine and Canada are the allies since both countries have a long, unprotected border with Russia," Wrzesnewskyj said. He noted that Russia had already violated the border of both Ukraine and Canada. In his opinion, "Ukraine and Canada face the same challenges, but Ukraine is at the forefront now."